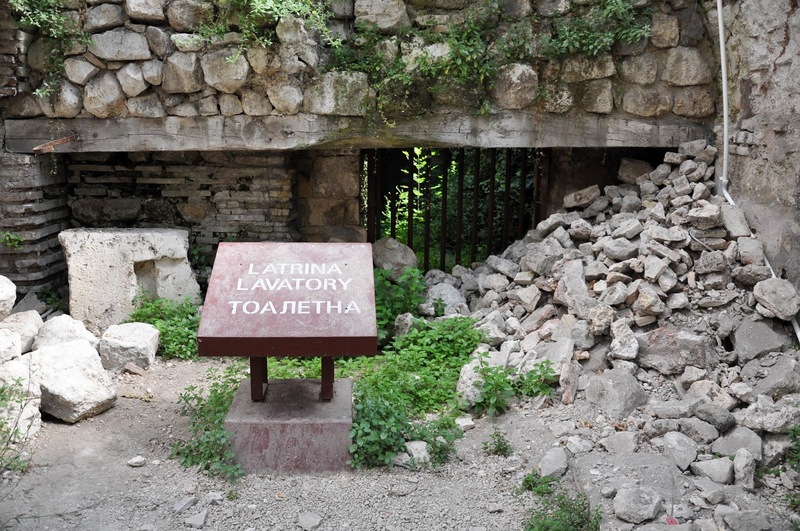 Of all the places I visited during my two weeks in Bulgaria this one actually broke my heart. And it could have been such a different story. 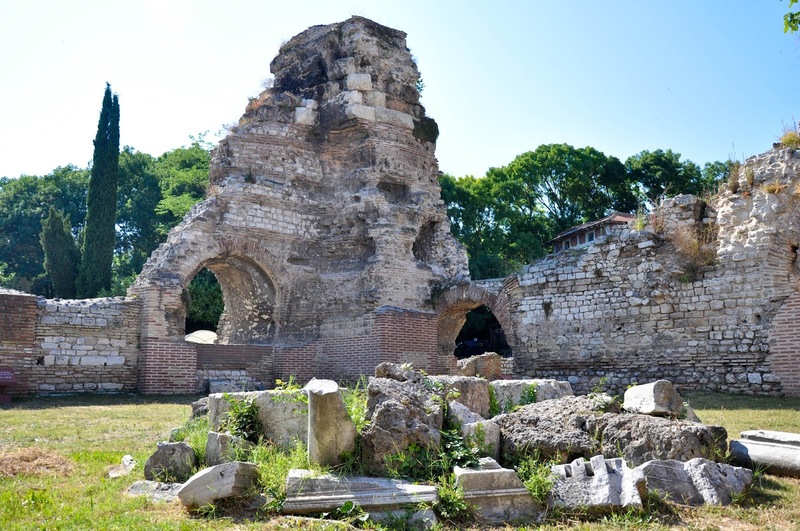 Being the forth largest Roman baths in Europe and the largest on the Balkan Peninsula, the Roman Thermae in Varna have the potential to be a tourist magnet attracting thousands of people from near and far willing to learn about times long gone by. 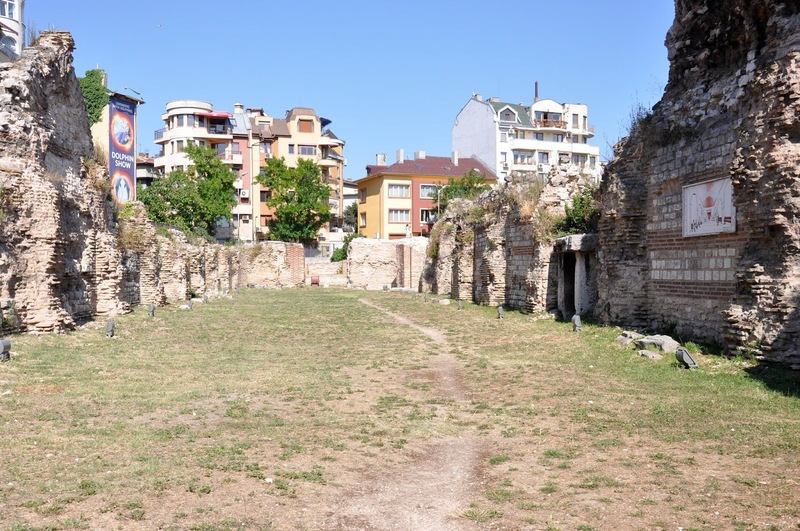 Instead, I found the baths’ ruins lying neglected under the scorching summer sun. The proud remains of the ancient civilization which has shaped Europe and the world were overgrown with grass and plants, littered with the rubbish of daily life and almost deserted not counting the five visitors (one of them myself) roaming the desolate expanse. 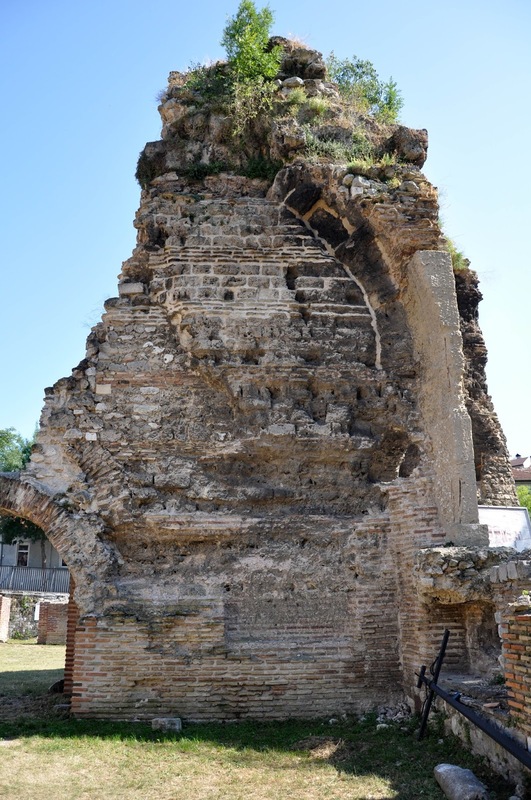 I was really looking forward to visiting the Roman Thermae and writing about them on my blog. Even though I was born and raised in Varna, it happens that I had never visited them before. I really don’t know why. The bath complex used to be quite the attraction at the time. Both concerts and theatrical performances were often held there. Somehow, though, it was just outside of the perimeter of my usual haunts, so I never visited. As such, I was excited to remedy this lapse and get to know my home town from yet another point of view. 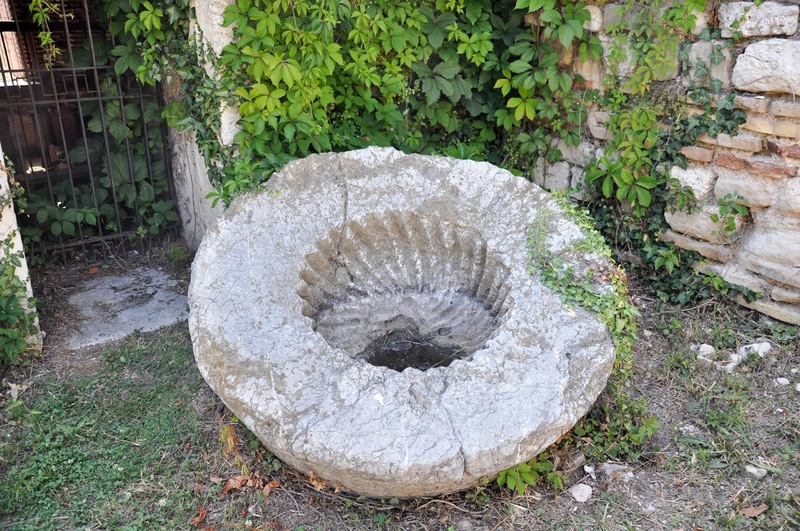 You see, Varna, then called Odessus, was an early Christian centre ruled by the Roman Empire. 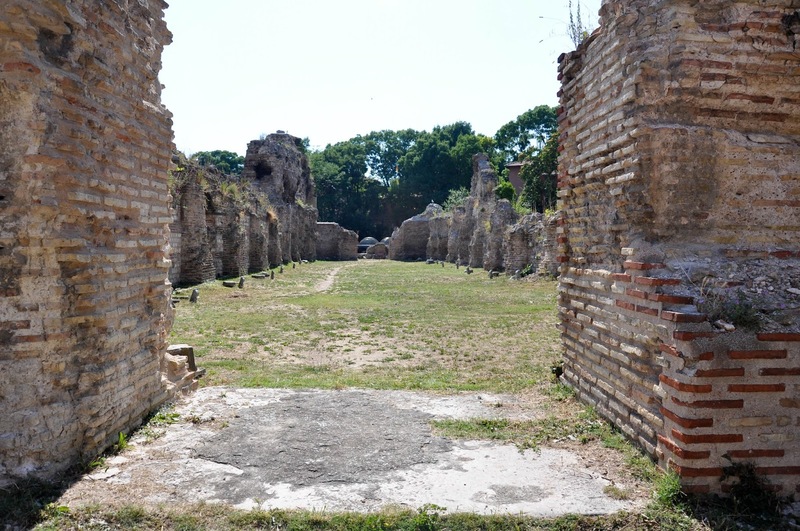 The baths were built in the 2nd century AD and every five years served as the centre of major athletic games. The building was of considerable size – 100 m long and 70 m wide, with the vaults reaching up to a height of 25 m. All sorts of facilities were provided for the bathers – from shops and sport halls to several pools with different temperatures – cold to hot. 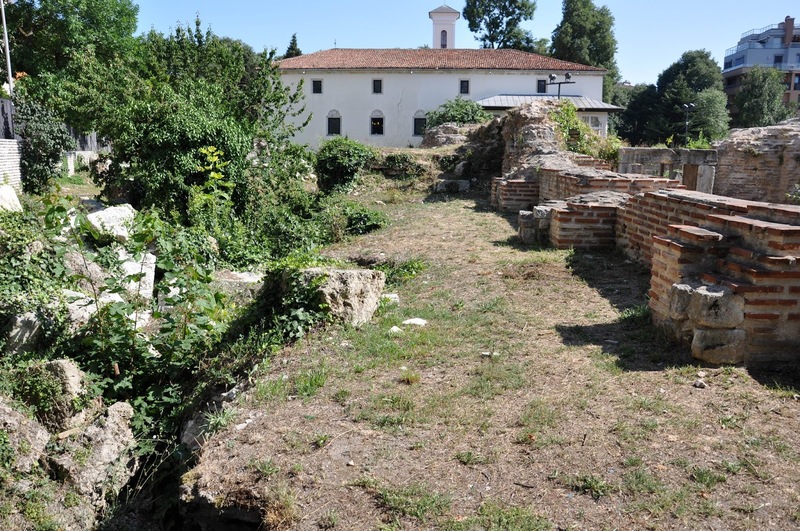 In the late afternoon of a bright summer day I headed off to explore the Roman Thermae. Lost in the maze of little intersecting streets of one of the oldest neighbourhoods of Varna, I asked for directions a person on the street who kindly pointed me to my destination. My first impression was one of shock. 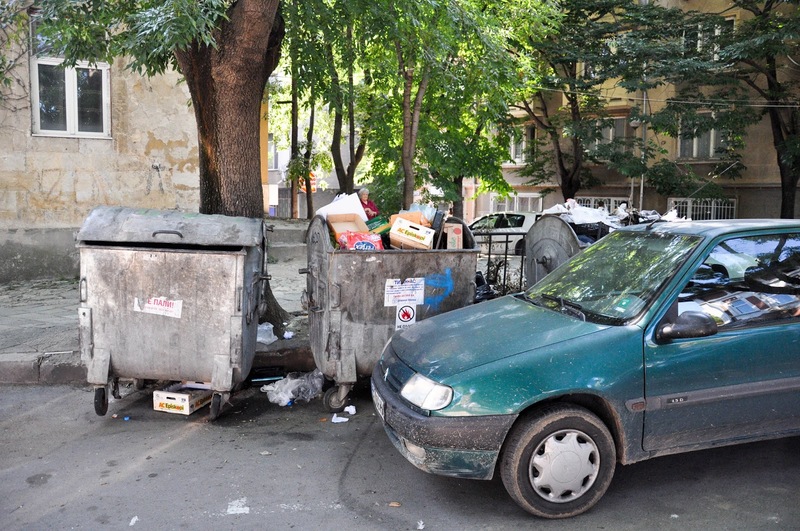 Right in front of the entrance of the Roman ruins stood containers overflowing with rubbish. I debated long with myself if I should post this picture here. Finally, after much painful deliberation, I decided that I should, as it documents the situation as I saw it. 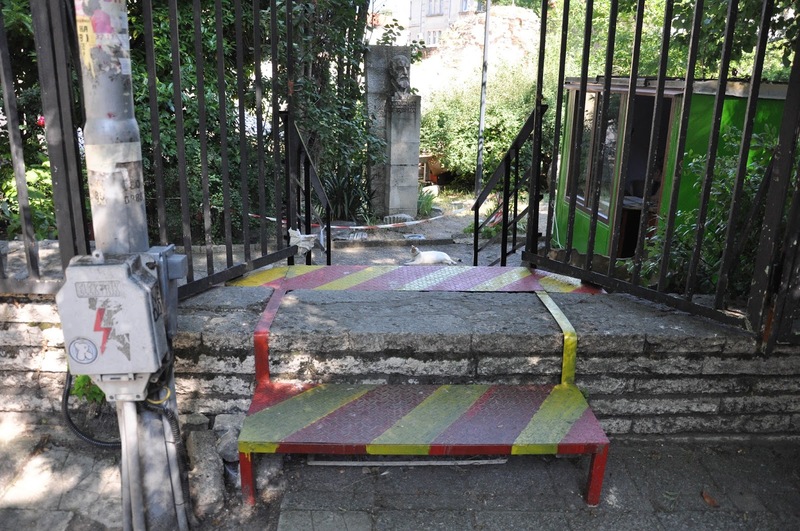 The entrance to the bath complex was marked by a raised step painted with high visibility colours. This immediately made it quite impossible for people with mobility issues to visit. Quite sad, I thought, especially as on everyday basis I witness the efforts undertaken by the Italian government to ensure that places of interest are accessible to all. A nice lady sold me a ticket and then I was left to explore the ruins at my will. 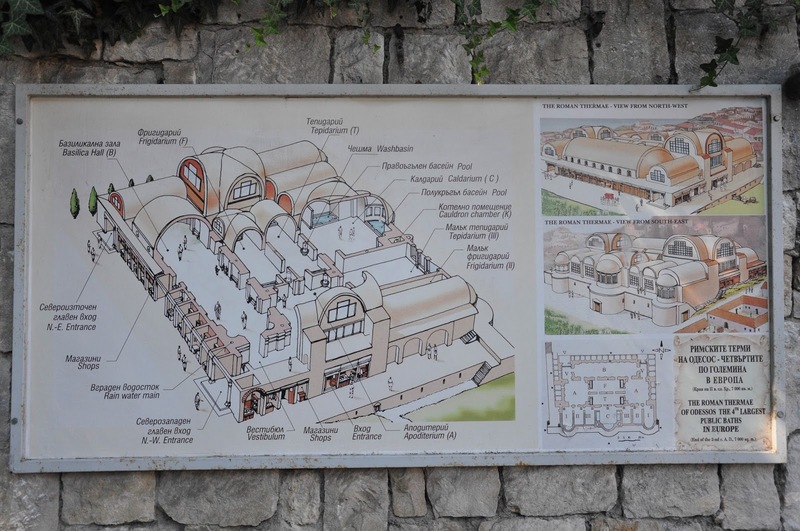 A large plastic roof had been raised over the front part of the baths. Looking at it, I felt pain and shock again. There is no easy way to say it, but it was really dirty. Covered with bird droppings and the dust of decades, from originally transparent, it had turned a shade of nasty grey. Not sure where to start from, I went down the steps to where once the Roman toilets had been. I found myself in a long corridor with vaulted arches on one side and the building’s wall on the other. Above me the said roof stood up. The walls were covered with crude graffiti, patches of grass had grown up along the path and a pile of rubble stood in the far corner of the corridor. I could see that the arches led into rooms, but they were so dark and made unwelcome by the graffiti, that I didn’t dare explore. As fast as I could, I went up the stairs and, in all honesty, breathed a deep sigh of relief. Upstairs, I was mesmerised by the remains of the big arches. They stood up proud giving me an indication how majestic this place must have been. Unfortunately, by the time I had reached it, it was already quite ruined. Grass covered unevenly the big expanses of the different halls, bushes and creepers had taken command of the surviving walls. There were even small trees growing out of the arches. I am not a specialist, but I couldn’t help but think about the damage their roots might be causing to the historical masonry. Further away, at the back of the bath complex, I reached a narrow strip of land. 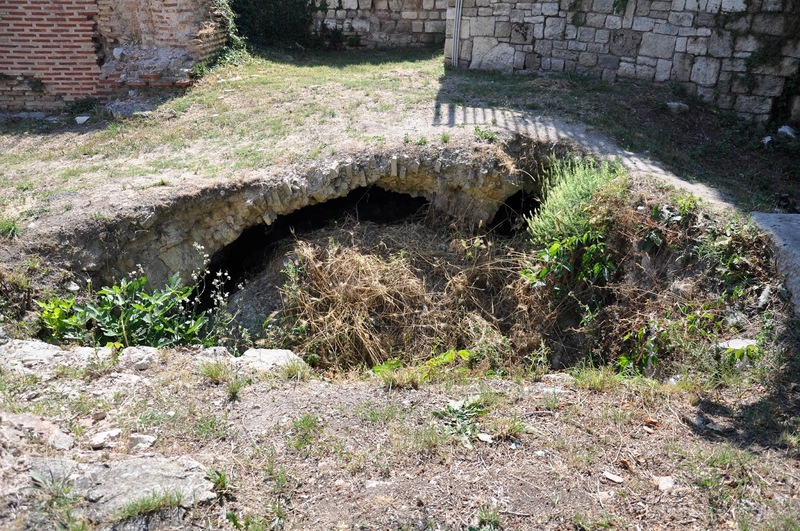 I soon realised that I had to be extra careful walking on it, as not only it was uneven and covered with piles of old, dried-up grass and plants, but large arched openings leading underground were gaping in it. From my higher view point, I looked in a couple of them. The first was completely filled up with dried vegetation. ‘The perfect fire hazard!, I thought. The second revealed something like a cave in front of me. It was full with rubbish – plastic bottles, scrunched papers, a desolate collection of what people leave behind when they don’t care about a place. And in the corner of the cave, all of a sudden, my eyes focused on something which looked like a makeshift bed. I thought I could see a sleeping bag and some other items arranged in a way to indicate that someone was living there. I have to admit that I panicked. Here I was, in the middle of one of the largest preserved Roman baths in the European Union and I wasn’t sure who I would come face to face with. My emotions were running high and I experienced a quick-changing succession of strong feelings. 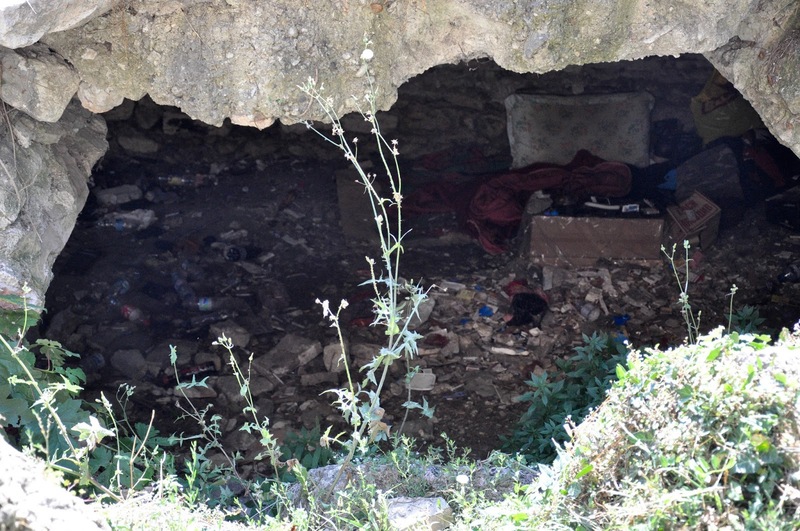 Pity for the person who has had to take refuge in that dirty cave. Anger towards the local authorities who had allowed for this beautiful historical place to fall into such decay. Powerful desire to get out of there as fast as I could. Just then I spotted a German family through the collapsed walls and sped off towards them. For the remainder of my visit I unflinchingly shadowed them. Every room they went to, I followed. Every turn they took, I was at their back. I preferred their startled glances to being left alone in the baths. Thanks to them, I managed to see the rest of the bath complex. 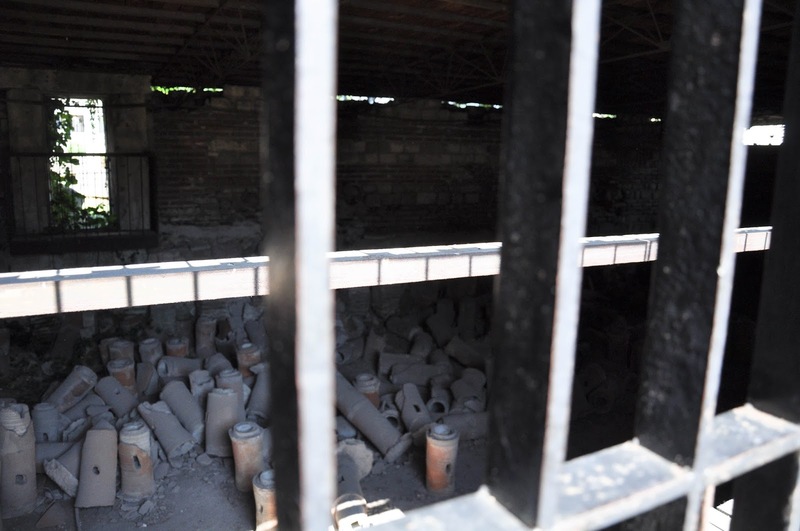 The doors to the large pools were locked, but through their iron bars I could see a large number of something like broken clay pipes lying abandoned on the floor. 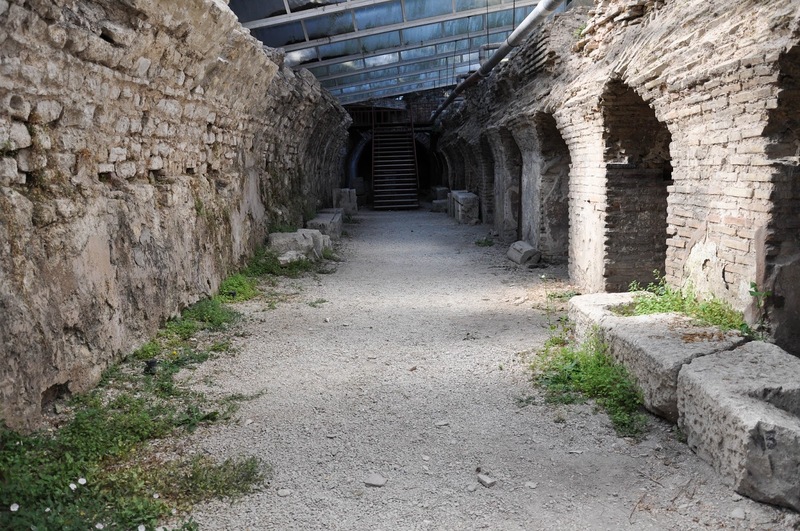 Later and after reading up on the Roman Thermae, I realised that these must have been the remains of the hypocaust – an underfloor heating system of pipes, used for the warm and the hot pools. I also went into the changing rooms, the cauldron chamber and the premises with the smaller pools and washbasins. By the end of my walk, my fear and anger had dissipated and I was consumed by sadness. This devastating feeling which eats out at you because you know that you are facing the loss of your home town’s heritage and there is nothing you could do. On the way out of the Roman Thermae, I stopped to say thank you to the nice lady in the ticket office. As it was already five o’clock, I found her locking the gates. Just then a family of tourists arrived and asked to be let in. The lady very politely replied that it was already closed, but she would let them in and wait for them to see the place. The family asked how much it cost. ‘Four levs for adults.’, the lady said. The family recoiled in horror and left without saying a word. ‘Oh, my God!’, I thought. 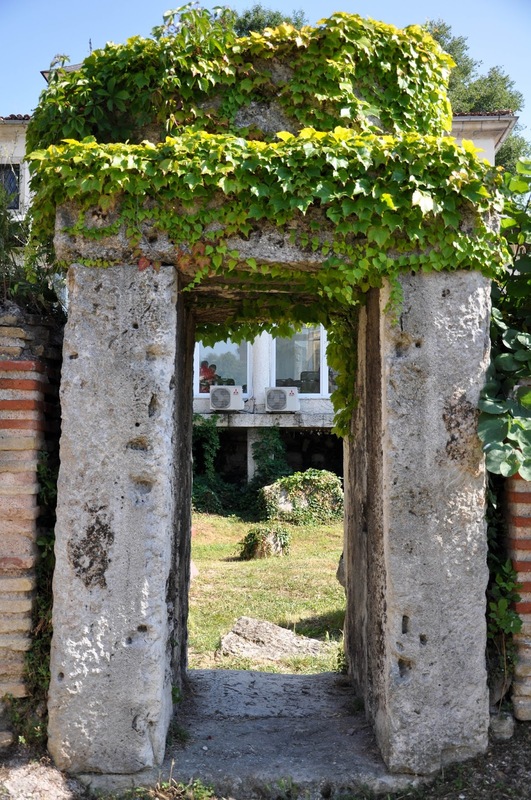 ‘Until Varna starts attracting visitors who are not too stingy to pay the humble couple of euros which the Roman Thermae cost to visit, this amazing place is doomed to a slow and painful death’. P.S. In my research for this article, I came across a small piece of information. 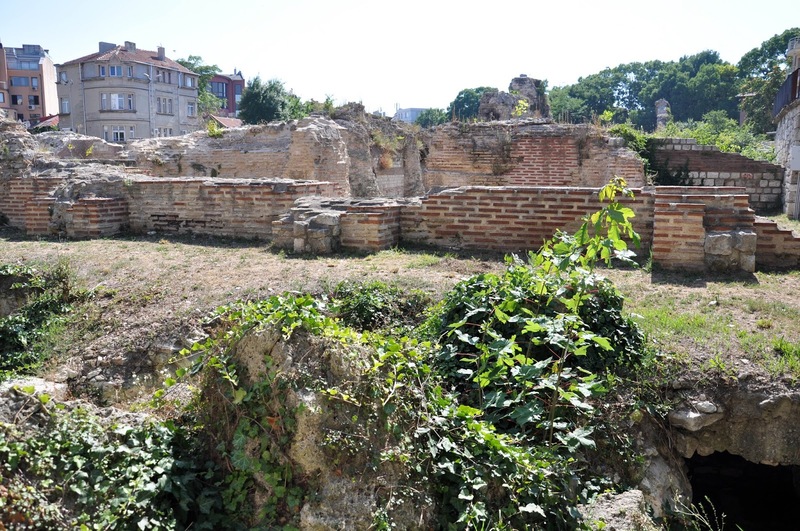 Apparently, in August 2013 Varna Municipality ordered an urgent reconservation project for the Roman Thermae worth 125 thousands Bulgarian levs. This was two years ago. I wonder what happened with the project. Do you know?